Today's post is a follow up to one from a few weeks ago when I shared my experience of the BrewDog DogWalk and Glen Garioch Distillery VIP Tasting which I attended as part of a three day press trip with Visit Aberdeenshire and Aberdeen Festivals. In addition to booze and jazz on the trip we also ate and slept very well. Suffice to say that on my own doorstep there is a wealth of food, drink and culture in the City and Shire. Our accommodation for the weekend was the centrally located Skene House Rosemount Apartments. 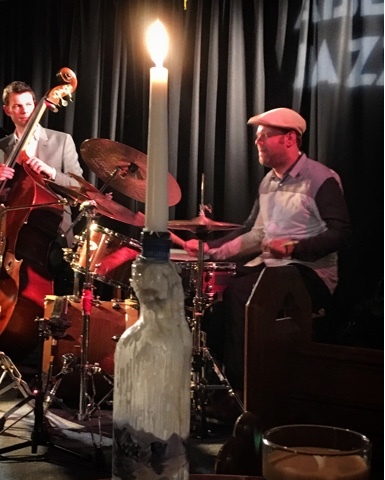 They provided the perfect base to explore the city and were only a short stroll from HMT, The Blue Lamp and the Jazz on the Green venues where we enjoyed a fantastic and varied selection of live Jazz music throughout the weekend. Pay for a bedroom. Get a living room free. At Skene House we give you more that just an ordinary hotel room. We give you a whole apartment, complete with separate living room and fully equipped kitchen. If you think you'll have to pay more for a more accommodating stay, think again. While Skene House is beyond compare, our prices compare very favourably with ordinary hotels. 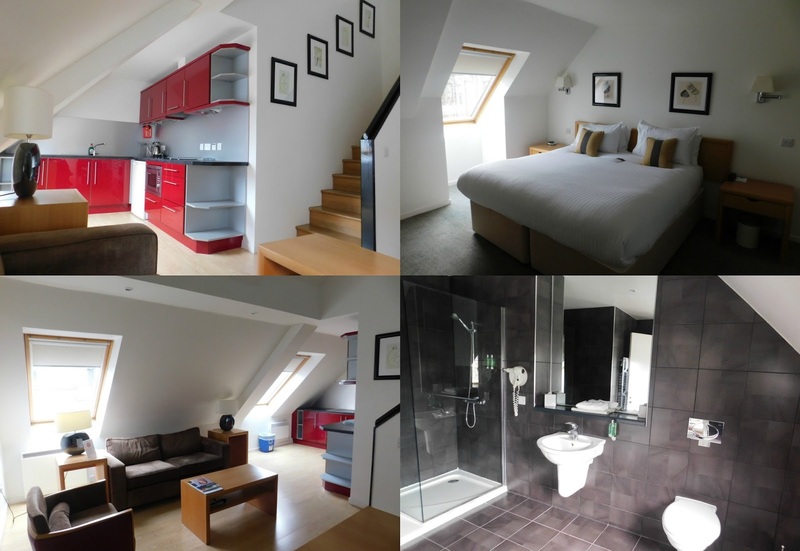 Skene House provides all the facilities of a hotel with the extra space of an apartment. My suite was smart, modern and comfortable with a well equipped kitchen. The bed was super comfy and the bathroom was huge with a great shower. A hearty breakfast was served buffet style downstairs beneath Rosemount Viaduct where I was delighted to see butteries on offer. Onsite parking, wifi, guest lounges with funcy coffee and biscuits, newspapers, daily housekeeping and 24 hour reception & concierge really do make this the perfect combination of hotel and home-from-home. My absolute favourite feature was however their doric variation on do not disturb door hangers. 'Come in the Noo' and 'Haud Yer Wheesht!' very much appealed to this Quine. Creating good food using only the best local ingredients is at the heart of everything we do. We work closely with our suppliers, who share our ethos and passion for food, to create dishes which are fresh and full of flavour. From seasonal herbs and vegetables handpicked from our very own gardens, to game and meat reared organically on farms only a few miles away - you are guaranteed a true taste of Scotland at Eat on the Green. Kilted chef Craig Wilson welcomed us to Eat on the Green with Champagne and Canapes in Le Salon Vert Laurent Perrier Lounge. This was a sign of things to come as from thereon in we didn't stop eating or drinking for at least a couple of hours! A local loon, born and bred in Aberdeenshire Craig is a fantastic ambassador for all that is good about Scottish food. East on the Green is arguably THE destination restaurant in Aberdeenshire. It has secured numerous accolades and welcomed a wide range of diners from canny locals to celebrities and dignitaries. In addition to his passion for food Craig is also a committed supporter of local charities and a father of four. He's a busy man but clearly runs a tight ship and doesn't take his eye off the ball. After a tour round the former small village pub taking in the gents toilets, private dining rooms, bar and restaurant we are ushered via the kitchen to the Chef's Table. What comes next is a feast of epic proportions. To showcase the best local and seasonal produce sharing dishes start to arrive and simply don't stop. Venison, pork belly, tempura vegetables, halibut, Arbroath Smokie risotto, plump juicy scallops, melt in the mouth beef cheeks, caramelised root veg, giant chips. So much food and all of it so good. Initial photographs taken we all begin to dig in as Craig tells of about the provenance and cooking methods for each dish and entertains us with a series of anecdotes. More food arrives and photography is forgotten as we all eagerly dig in. The vegetables come from polytunnels only a few miles from the restaurant, fish from boats based in Buckie and Peterhead. Menus are changed regularly to reflect the best of Scotland's larder and the changing seasons. There's way more than just a nod to provenance. This is the real deal. We admit defeat and half empty plates are carried back to the kitchen. Someone mentions dessert. Surely not. But there is also cheese. The biggest cheeseboard I have ever seen. I always have room for cheese and took great delight in finishing off a truly amazing meal with Smoked Clava Brie and a glass of red. I leave with an Udny food baby in my belly and the promise to return and undertake a Chef for the Day experience. Craig has been inviting me to do this for a couple of years now so I really must bite the bullet, dig out my chef whites and roll up my sleeves and join him and the brigade in the heat of the kitchen. Still absolutely stuffed from our Eat on the Green experience we valiantly headed to Foodstory for a bite to eat before the Curtis Stigers gig at HMT. I'm a regular daytime customer having been part of their crowdfunding effort back in 2013, but this was my first evening visit. 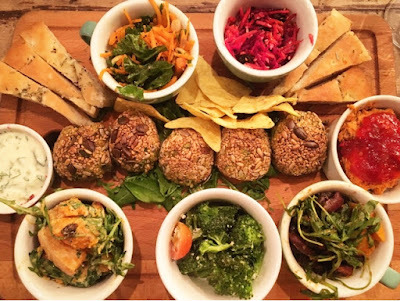 A vegetarian sharing platter accompanied by some BYOB Brewdog hit the spot perfectly. 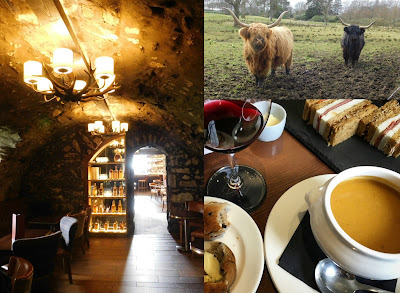 The next day, following our tour and tasting at Glen Garioch Distillery we made a whistle stop visit to Meldrum House for a Soup and Sandwich lunch in their Cave Bar. At almost 800 years old, the fascinating Cave Bar is home to one of the largest collections of Glen Garioch whisky so it seemed a most appropriate venue for lunch. Musa is a restaurant, art gallery and live music venue in the merchant quarter of Aberdeen. Fresh, contemporary food lives alongside cutting-edge art and live music against the canvas of a 19th century church. An eclectic menu fuses world inspired cuisine with quirky interpretations of Scottish staples. It's been way too long since I last ate at Musa but as soon as I stepped through the door the eclectic architecture, decor, art and general ambiance reminded me why it's so popular. The menu which focuses heavily on local produce from small Scottish suppliers only reinforced that. Based in Aberdeen's Merchant Quarter and originally a Catholic Apostolic Church it has also been a Banana Ripening Warehouse in its time. I really struggled to choose what to order but finally plumped for Pan Fried Scottish Wood Pigeon, Bacon Crisp, Barley Risotto, Pea Puree. Followed by Baked Cod, Olive Oil Mashed Arran Victory Potatoes, Saffron Sauce, Broccoli, Roast Tomatoes. If truth be told I reckon I'd have enjoyed pretty much anything from the menu and having swithered between lamb and fish I did look somewhat enviously at the rack of lamb when it arrived on the table for someone else. Isn't that always the way? The menu provides suggested drinks matches for each individual dish and also clearly signifies Vegan, Dairy Free and Gluten Free options - of which there are many. Alas we were already pushed for time in heading to a gig at The Blue Lamp so no desert but for the record I would have forgone my usual cheese and opted for the Eves Pudding with Rhubarb and Apple Compote. Rye & Soda by 10 Dollar Shake is an Anglo-American brunch cafe by day, serving modern British comfort food in the evening along with juniper-led spirits, sparkling wines and ales. Open from 10.30am til late. A long lie on Sunday morning before checking out of Skene House and heading to Rye & Soda for Brunch. Yet another establishment that I'm no stranger to. Alas I was driving home later in the day so had to settle for a Virgin rather than a Bloody Mary on this occasion. To eat I opted for Hangover Hash. Potato, Black Pudding, Sausage, Tomato & Mushroom all Cooked in a Skillet Pan with Egg, Cheese and a little Cajun Seasoning. Around the table our group tucked into Scottish charcuterie, American style pancakes, Huevos Rancheros, Pizza Fries and more. 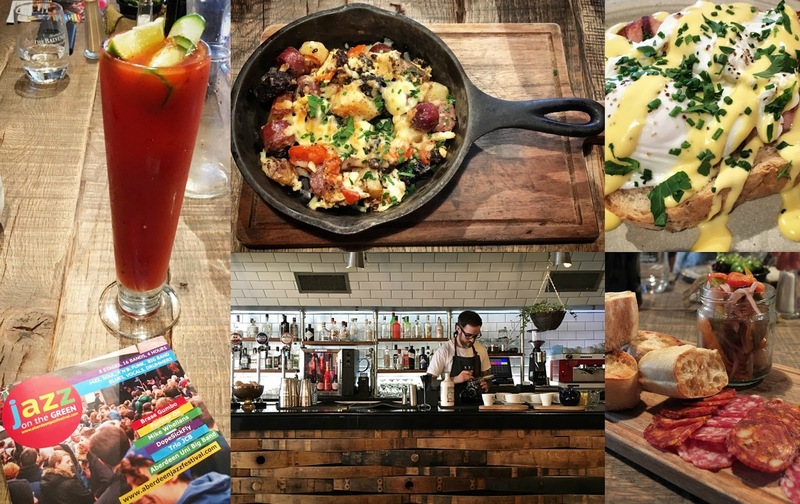 They really do have one of the best brunch offerings and this combined with knowledgeable staff, a chilled vibe and a passion for local provenance made it the prefect choice for the 'last supper' of our trip. With full bellies we headed off to explore Jazz on the Green. 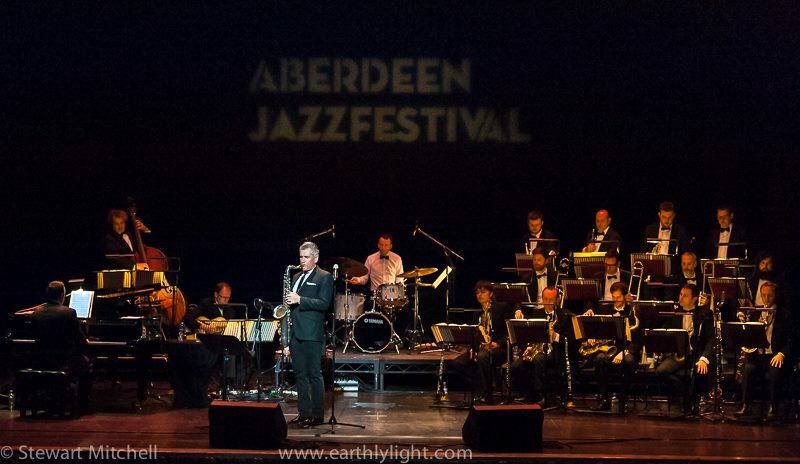 This is Aberdeen's biggest free admission live music event and encompassed eight locations in the city centre from rooftop bandstand to backstreet tunnel, shopping centre atrium to filmhouse cafe. Disclosure: I stayed, jazzed, ate and drank as a guest of Visit Aberdeenshire and Aberdeen Festivals, Skene House, Eat on the Green, Musa and Rye & Soda. Thanks to Elizabeth's Kitchen Diary and Stewart Mitchell for additional photography. The opportunity to stay in a hotel "room" the size of an apartment? Sold! That just sounds absolutely amazing! And the food from Eat on the Green looks and sounds wonderful. This trip looks like it was a great experience! It was an amazing experience! I will admit not being all that sure of the value of a press trip virtually on my own doorstep but it was great to see the area though different eyes. I really love the look of Skene House, we really appreciate having extra space when we can, a living room or area and a kitchen (even if it's just a tiny one) are such a boon when you're staying somewhere more than one or two nights. The food options all look fabulous, Scotland has such great food these days! I need to visit Aberdeen again, I went many many years ago as we have a friend living in a village nearby but I really want to explore the city more. Yup you can feel a bit cooped up in a hotel room sometimes so it's great to have some extra space. 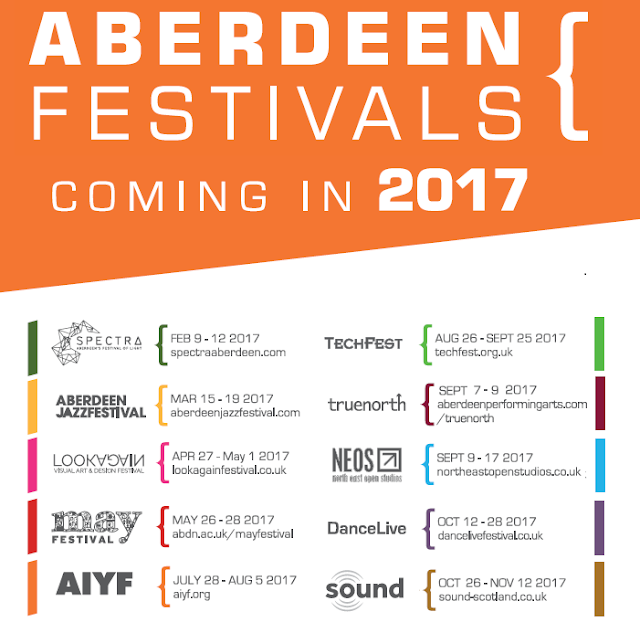 I'd be delighted to show you around Aberdeen anytime - just let me know! Sounds like you had a really wonderful trip. Skene House looks lovely - that kitchen!! The kitchen was great and seemed well equipped, alas the only thing I made in it was tea and coffee. Do please come back and visit Scotland. You'll be welcomed with open arma and fantastic food, drink and hospitality. 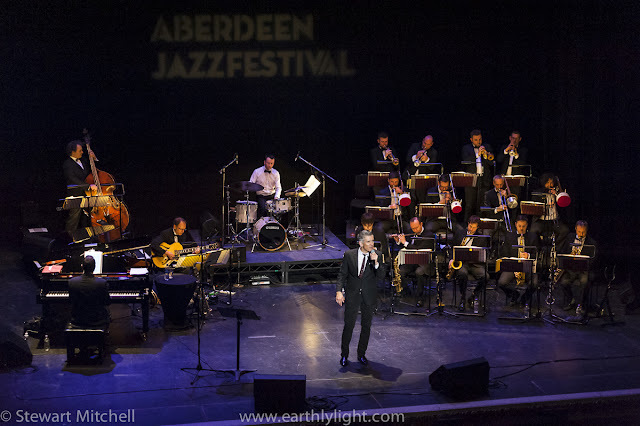 Well worth traveling to Aberdeen for this amazing combination. If you get invited again and can't make it, I'll selflessly volunteer. Sounds like my idea of heaven. Indeed it was a heavenly weekend. I far prefer staying in apartments, and the combination of apartment and hotel sounds ideal. not being able to make ones own food really gets to my after a while, however good the food that is on offer. I've not been to Aberdeen for about 20 years, time for a revisit. It's so nice to have a little bit more space to spread yourself out in combine with the flexibility of cooking facilities. 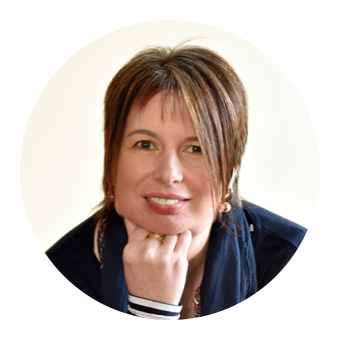 I'd be delighted to show you around Aberdeen anytime - just let me know! What a lovely trip! I love the sound of the Skene hotel/apartment - so much easier with kids especially. And the Chef's Table epic feast sounds incredible. And jazz too? Well that all sounds incredible. Honestly the food at the Eat on the Green Chef's table just kept on coming. So we just kept on eating!!! It was SO good. Those accommodations look fantastic...Jazz fest and a cave bar...I'm in! The Cave Bar really is something special - particularly if you like your Whisky. Omg omg omg the fooood looks delicious.. :) I Lived in Scotland for years but didn't make it up to Aberdeen. One Day I hope!! !